Translations will be uploaded to the CHCFE blog as they become available. Partners of the EU-funded project ‘Cultural Heritage Counts for Europe’ (CHCFE) have revealed the final results and publications at the CHCFE concluding conference held on 12 June 2015 in Oslo, Norway. Key findings show how adopting a holistic approach is an added value when measuring the impact of cultural heritage on employment, identity, regional attractiveness, creativity and innovation, economic contribution, climate change, quality of life, education and lifelong learning, and social cohesion. In the report’s Executive Summary and Strategic Recommendations, the CHCFE Steering Committee calls for the elaboration of specific “heritage indicators” to facilitate and improve the collection of cultural statistics which are key to support policy makers in evidence-based policy making; for the holistic impact assessment to be conducted as a requirement in all EU-funded heritage projects to better measure impact and monitor trends over a longer period of time. The Steering Committee also asks EU Institutions and its Member States at all levels of governance to integrate the care, protection and proper use of heritage in all related policies, programmes and actions and to include all stakeholders and civil society in developing strategies and policies for cultural heritage. Last but not least, it calls for the recognition of heritage’s positive contribution to regional and local sustainable development in the context of the mid-term review of the Structural Funds (in 2016-2017) and the preparation for the next generation of Structural Funds beyond 2020. 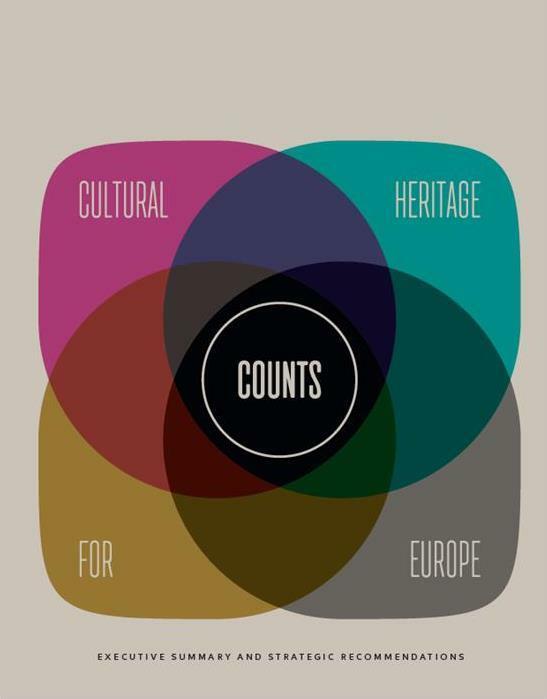 In addition to the key findings and strategic recommendations, the report provides a snapshot in time of the currently available and accessible data within EU Members States on the wide-ranging impacts of cultural heritage in Europe. To illustrate and complement the key findings and conclusions from the macro and meso level research that was set out in the main body of the report, case studies from Belgium, Poland and laureates of the EU Prize for Cultural Heritage/Europa Nostra Awards have been selected to provide “real-life” examples of where heritage is perceived to have succeeded in having a positive impact in the economic, social, cultural and environmental domains.